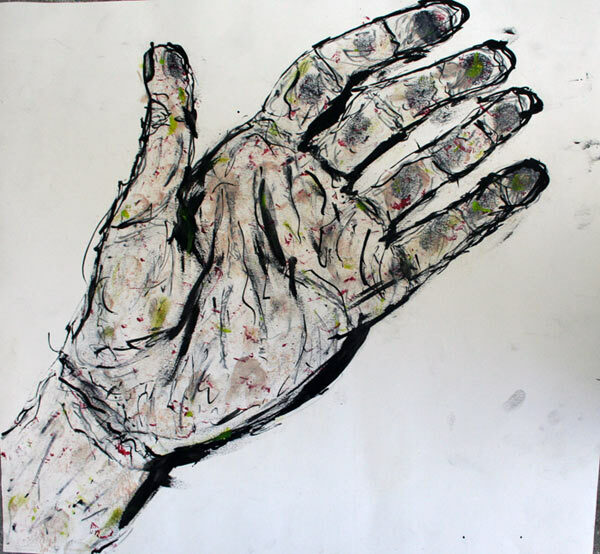 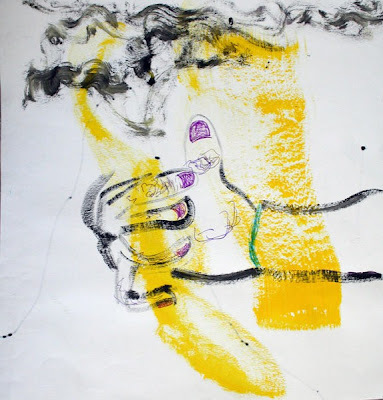 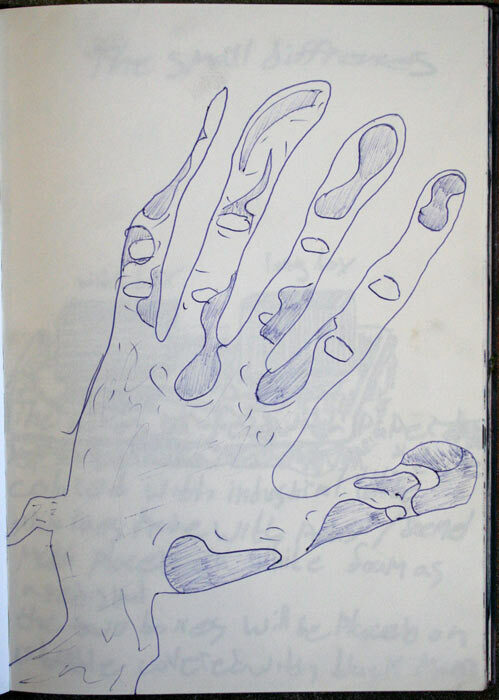 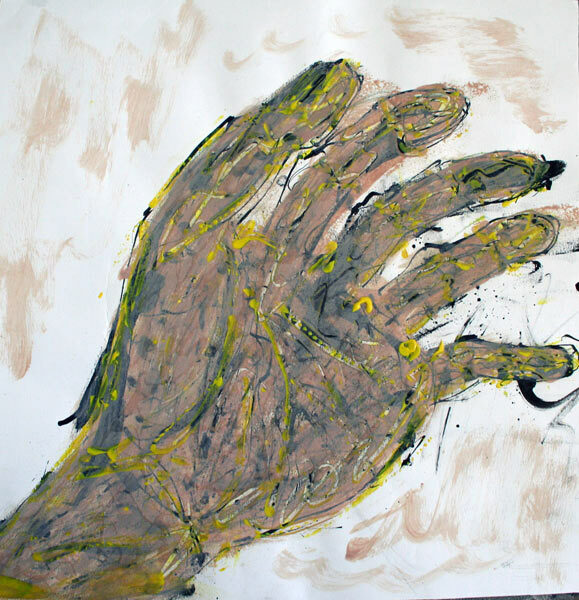 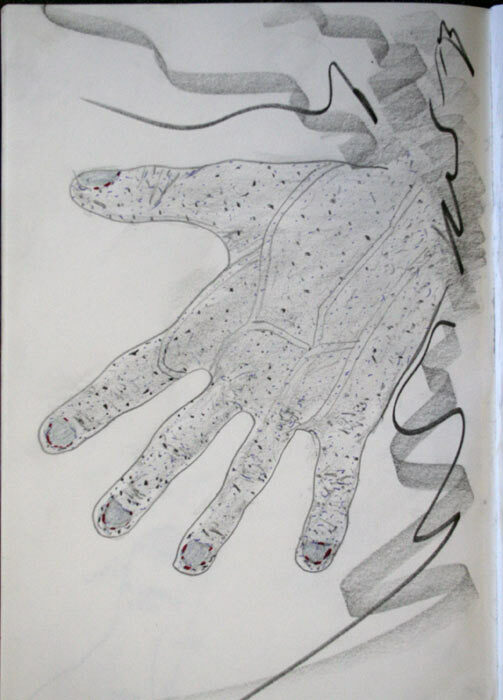 Erik Mattijssen gave us an assignment to investigate hands. 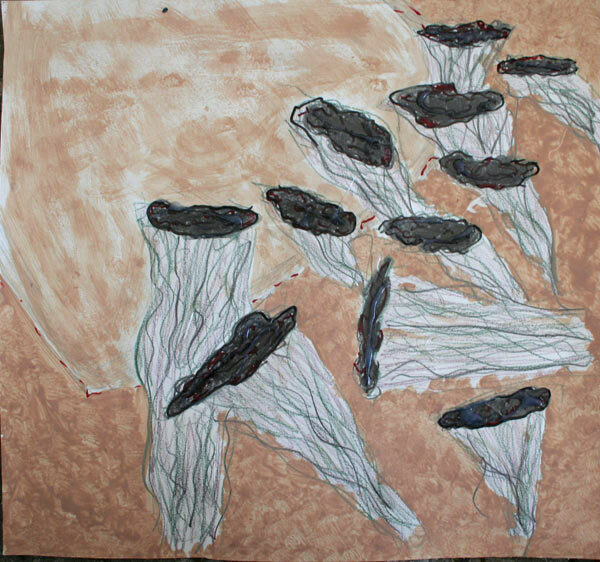 Acrylics color pencils, graphite and hot glue on paper. 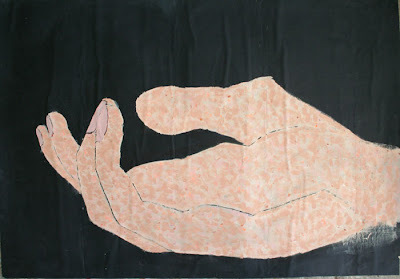 Labels: Hand investigation.-Basis jaar 2nd Semester.